The first thing that strikes listeners about Hamilton’s (ON) Gillian Nicola is the strength of her vocals. Nicola’s vocal delivery is full of power, while remaining authentic and vulnerable. The singer/songwriter calls on influences of folk, rock and alt-country to create a sound that honours her diverse taste. In Spring 2016, Nicola released her sophomore EP, No Place to Call, recorded at Hamilton's Catherine North Studios with producer Dan Hosh (Wild Rivers, Rose Cousins) and mastered by Elliott Brood's Stephen Pitkin. The five-song EP is a move to a sound that Nicola feels fully defines her as an artist. On a base level, the songs are what many have come to know and love from Canadian folk music, but the vocal delivery and heavy instrumentation set Nicola apart. Throughout the recording, she employs the use of heavy textures and ambience coupled with emotionally-charged lyrics and vocal delivery. "No Place to Call is a work focused on atmosphere: I want the listener to feel as though they are surrounded by colour, while simultaneously allowing them to really feel the emotion that is clear in the songs." Nicola, 2016 The title, No Place to Call refers to a lack of being able to call anyone, or any place, home - a theme that is highly present throughout the recording. While at times it may be 'pretty,' No Place to Call is anything but that: it is charged with emotion, grit and vulnerability. Since the release of No Place to Call in April 2016, Nicola has completed three tours in Canada and has performed in Nashville, TN. A classically trained vocalist, Nicola’s 2013 EP Chasing the Wind, was nominated for two Hamilton Music Awards (Best New Artist/Group, Alt-Country Recording of the Year) and the Toronto Independent Music Awards (Best Folk). Nicola has made many high-profile appearances, including: the JUNO Concert Series, The Love Song Edition and Hamilton’s Supercrawl. 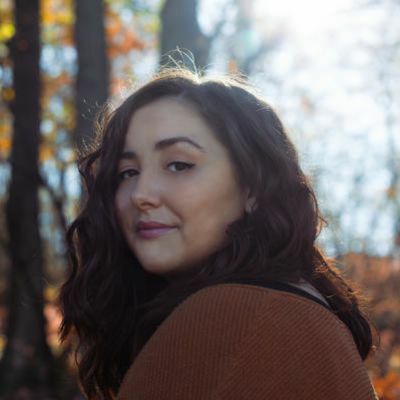 Nicola was a Regional Finalist in the 2015 CBC Searchlight Competition and was selected for the Canadian Independent Recording Artist’s Association’s Mentorship Program, where she received one-on-one mentorship with Livy Jeanne (Black Box Records, Universal Music) over the summer of 2015.